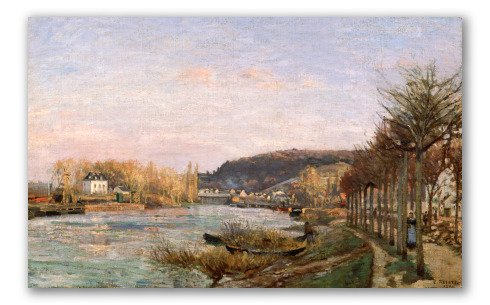 Pissarro's "The Seine at Bougival", Bridgestone Museum of Art. 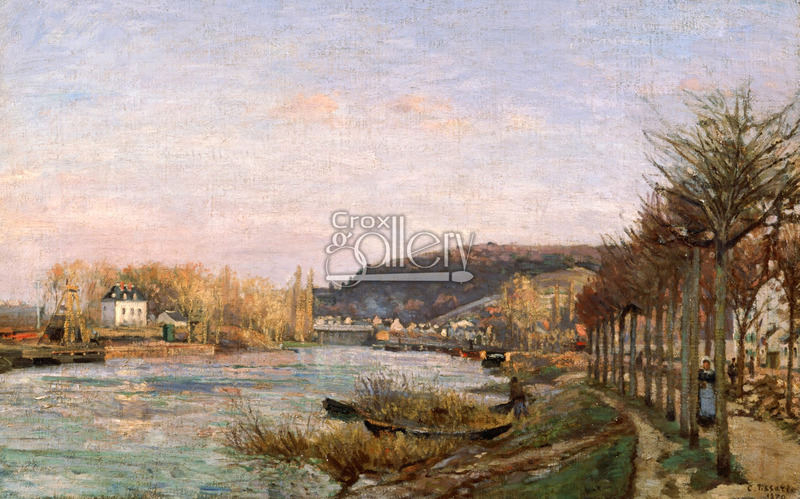 This work, entitled "The Banks of the Seine at Bougival" was painted by Camille Pissarro in 1870. The dense brush strokes demonstrate that the painting pertains to the artist's earliest style, prior to his impressionistic peak. The French village of Bougival was painted by many impressionistic masters, including Sisley who painted a painting with the same title. Paris is on the left-hand side of the River, and on the right-hand side is the small town of Bougival. The trees, the shore of the Seine and the mountains on the right-hand side are connected by a small white bridge (seen in the background). Many experts consider this work to have been completed largely as a study on the application of lights and shadows in landscapes. This painting is currently found in the Bridgestone Museum of Art, Japan. Original size: 51,4 x 82,2 cm.